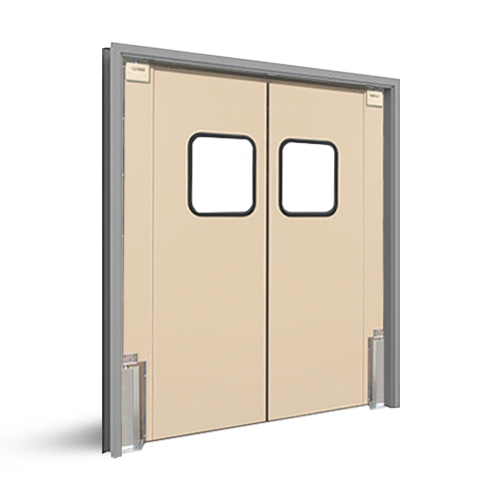 The PMP-2 traffic door is the perfect door for your supermarket, retail and restaurant applications! It has the strength to withstand pallet jack, push cart and pedestrian traffic, all while meeting the functionality needs of your space. The PMP-2 is constructed of a ¼” thick ABS material reinforced with 2 pieces of ¼” x 7” ABS along the jamb side, creating a back spline with a total thickness of ¾”. The back spline is capped with a 16 gauge stainless steel back channel for extra strength and rigidity. 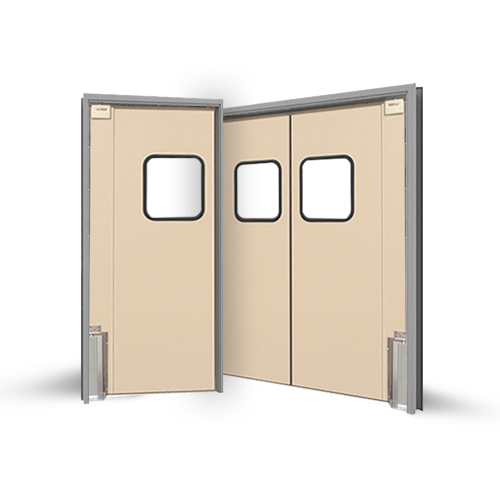 The front surface of the door is textured, while the back has a smooth finish. We pride ourselves on the attention to detail found in our finely engineered doors. See the product detail photos in the gallery below. 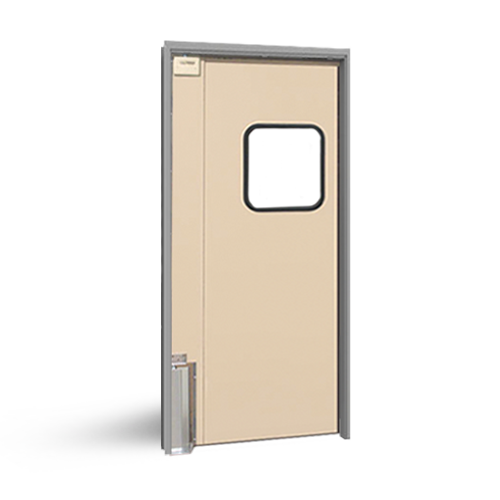 Door Design: The door body is constructed of a 1/4" thick ABS material reinforced with 2 pieces of 1/4" x 7" ABS along the jamb side, creating a back spline with a total thickness of 3/4"
We're here to help you in the ordering process. © Copyright 2019 Eliason Corporation. All Rights Reserved.